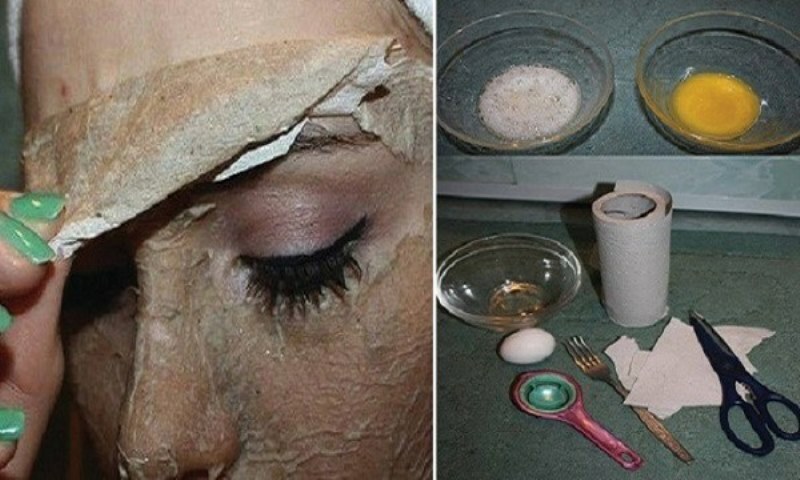 Nations Press health This Homemade Mask – Removes Blemishes, Acne, Blackheads And Wrinkles As If By MAGIC! This Homemade Mask – Removes Blemishes, Acne, Blackheads And Wrinkles As If By MAGIC! There’s a rule when it comes to face care and it says that “you should always use face creams and face masks made from natural ingredients that you can eat.” If you cannot put them in your mouth, then they certainly won’t be any good for your skin. It sounds quite true, doesn’t it? Therefore, having in mind the above-mentioned saying or rule, we want to recommend a great natural face mask that will help you get rid of your post-acne scars and blemishes very easily. This mixture is also called a ‘burning’ face mask that will change your life. Each ingredient has a specific function and you needn’t worry about the prickling or burning sensation because it will disappear in less than 5 minutes. This mask works great because it refreshes the skin and makes it soft and smooth. When acne and blackheads are healed, the skin is left with traces of them in the form of dark spots and sometimes even with scars. If this has happened to you, then this mask will be your rescue. If you have uneven skin tone or a problematic one, blemishes as a result of acne, skin with no glow, or wrinkled skin, then you should definitely make this ‘burning’ mask and use it regularly. This is one of the most effective natural face masks that will brighten your blemishes, reduce your scars, even out your skin tone, ‘iron’ out your wrinkles, and make your complexion soft, healthy, and radiant. Mix all the ingredients together, so that you get a smooth paste. Apply the mask to your face evenly, avoiding the areas around your eyes and your mouth. Leave it on for 30 minutes or at least 10 minutes if you simply cannot endure the slight prickling sensation. However, you should have in mind that this sensation will go away in less than 5 minutes. Rinse the mask off with warm water and apply your usual face cream. Provided that you have sensitive skin, you should either skip the lemon juice or add more honey so that the mixture becomes thicker. Do not use this mask as a face scrub. This mask is not recommended to those who suffer from couperose, rosacea, and other vascular skin disorders because honey dilates blood vessels. You can replace honey with clay. It should be mixed in the same ratio as the rest of the ingredients and watered down to the wanted texture. How to use it: Keep in mind that this mask works gradually. Apply it twice a week and you will notice a great improvement in your skin. Hope you like it!